AOC posted a one-hour video on Instagram saying she works so many hours in Congress, she hasn’t had time to buy furniture for her apartment. - But she had time to make a ONE HOUR VIDEO??? Hey Alexandria… PUT DOWN THE CAMERA AND GO BUY A COUCH. 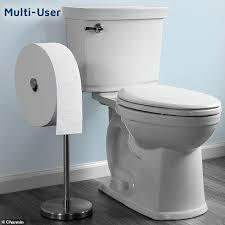 Charmin has introduced the “Forever Roll” a giant roll of TP that lasts a month and is as tall as the Washington Monument when unraveled. - That’s something to sit down and take note of. - Talk about a “Game of Thrones” Changer!!!. Clothing store “Forever 21” has launched an “officially licensed U.S. Postal Service apparel line” featuring clothes that look like Postal Uniforms. - The clothes take six weeks to be delivered and usually end up in your neighbor’s mailbox. Facebook is in trouble again for requiring users to hand over their email PASSWORD in order to use the site. - But the jokes on them… I don’t even KNOW my email password! Two more women have come forward to accuse Joe Biden of inappropriate touching. - To avoid future problems, Joe says they’ll be no more hugging or touching… he’ll just send women a bottle of “Gee Your Hair Smells Terrific” instead. It’s National “Hug a Newsperson Day”! A video has gone viral of the monkey-dog races at a Fair in Texas featuring monkeys riding on top of dogs. - It’s just like a regular horse race, only with taller jockeys. Have a great day and I’ll see you back here Friday!